I tried to print a calibration cube with 3 perimeters as I need to print some strong parts for another project. Unfortunately I'm having an issue with the second perimeter not being attached to the third one (counting from the outside of the cube). I'm using a PETG in orange neon from 3DJake and use Cura 3.3.1 as slicer. My setup is a Sparkcube Core XY Bowden extruder. I did an extruder calibration for this material and did another calibration for the flow. Everything seemed to be fine there. The surfaces of the prints are smooth and there are no gaps in the top surface. I tried to increase the flow in 5% steps. But even an increased flow by 10% does not solve the problem. Only the top surface becomes rough, as there is now over extrusion. Does anyone have an idea what could cause this problem? 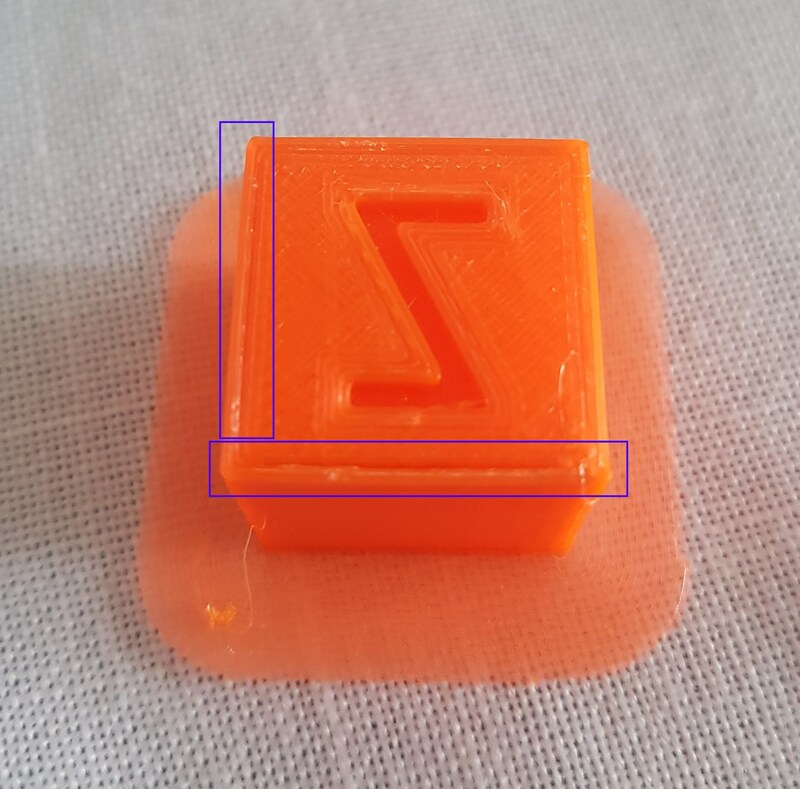 Is there any option in Cura to decrease the distance between the perimeters or any other setting that could help in this situation and that I might have overlooked? Thanks in advance and with best regards! It looks like you print the inner perimeters first and have issues with retration. The unretract fails and there's not enough filament pressure for a moment. I'm printing the outer perimeter first. When I get home I will try to tweak my retraction settings nevertheless. Maybe I have to increase the extra restart distance or slow down the retractions in general. Thanks for the idea, I will keep everyone updated! On my setup I tried it with no retraction and no difference. Its not on a specific area like when it comes back to do the outer wall for a few cm its the entire outer wall in my case. Looking at the print, looks like your axis aren't square. Make sure your guide rails are orthogonal to each other. Also measure to ensure the carriage moves the amount you request of it in X and Y. Also could be a belt tension. Make sure your belts are equally tensioned. Edited 2 time(s). Last edit at 05/23/2018 03:25PM by FA-MAS. I tried to tweak my retraction settings as well, but it did not make any difference. In my case it is not on a specific area too, between the second and third perimeter on all 4 sides of the cube. @ FA-MAS: the print on the pictures looks a little distorted because it is so close to the camera. I double checked the guide rails and they are orthogonal. I found a working solution nevertheless: if I decrease the inner wall speed then the gaps between the second and third perimeter disappear. It seems to me that I have to check my extruder calibration once more or Cura makes a mistake when setting the correct amount of extrusion for the inner perimeters. I will check my extruder calibration again and will also print something else to see if the same problem comes up on other objects. I will come back to you guys with the results! There is an adjustment for thin wall behavior and gap fill in slicer software. Did you try to turn them on? I did not try these parameters yet. For what I understand the thin wall behaviour is only used if you want to print a structure that is not a multiple of your desired print width/nozzle size. For example I want to print 2 perimeters with 0.4mm thickness and have a structure with 1.1mm to print. Then the slicer would adjust one of the lines to be 0.3mm wide to fit the space between the outer perimeters. The gap fill is also just used if the slicer detects a gap between the perimeters for example when slicing sharp corners with a very small angle. Both should not be the case here. The most reliable way to test whether or not your printer is extruding enough plastic is to print a simple 20mm tall cube with at least 3 perimeter outlines. At the top of the cube, check to see if the 3 perimeters are strongly bonded together or not. 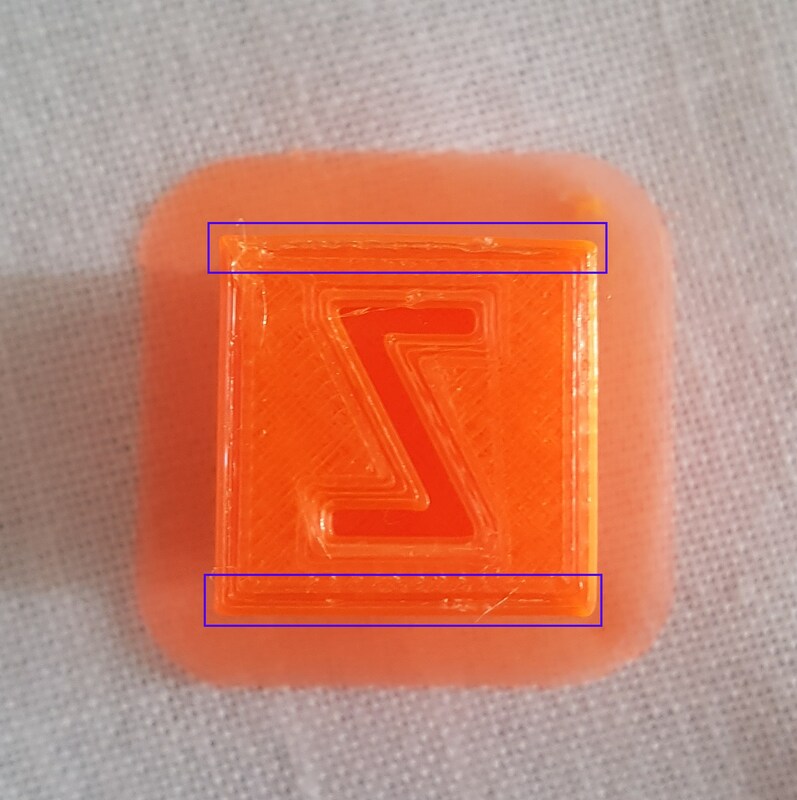 If there are gaps between the 3 perimeters, then you are under-extruding. I see that the gap is seen after chaging movement axis. Maybe it is too fast for your printer. Lowering "Jerk" values may worth try. Edited 1 time(s). Last edit at 05/25/2018 08:13AM by serdar415.